Here’s the official site with lots of resources. 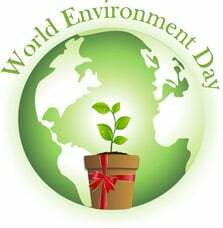 ESL Holiday Lessons has a…lesson on World Environment Day. World Environment Day 2018: ‘Beat Plastic Pollution’ is a photo gallery from The Atlantic.